According to Internet World Stats, about 48% of the world’s population uses the Internet. Knowing this statistic, you can clearly see how significant an online portfolio is to market your competence. An online portfolio can help you build an elegant exhibition of your expertise worldwide. Thus, you open up greater and more advanced opportunities to promote your products and services online. Hence, we have collected these 25 WordPress Portfolio Themes 2017 to create your stunning online portfolio. Since WordPress offers extensive smart functions, widgets, and plugins to manage contents, it’s best to consider WordPress-driven portfolio websites. With the flexibility of WordPress themes, changing your content such as videos, images, and a copy is just a few clicks away. 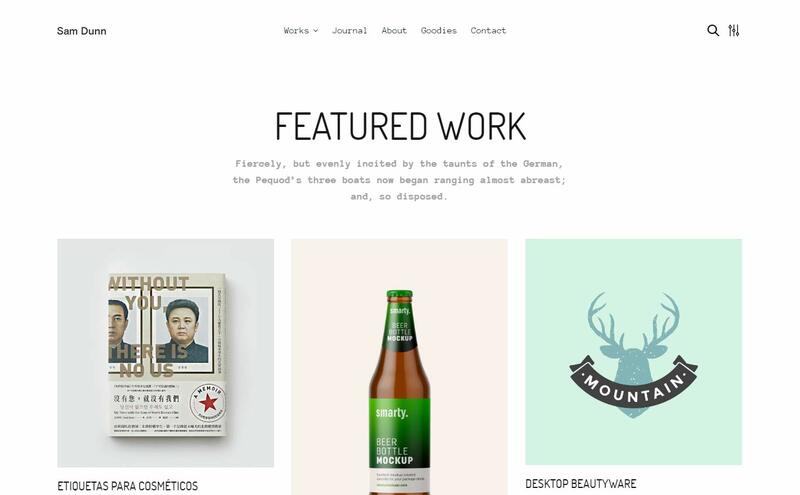 These WordPress portfolio themes can help you increase visibility and online presence. Apparently, your invisible and unpublished works will then be available and accessible across the globe. Because we understand your need to professionally showcase your profession, passion, and creativity, we carefully handpicked these themes. Whether you are a freelancer, an agency, professional these 25 WordPress Portfolio Themes 2017 will be a great collection for you to check! 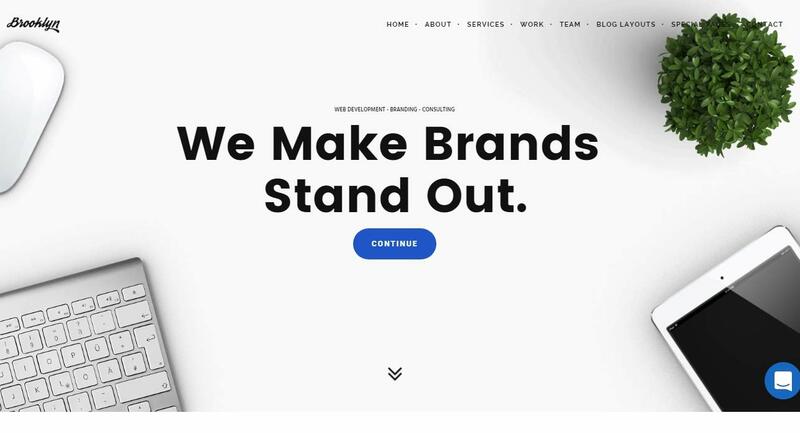 Bridge is a creative multipurpose WordPress theme packed with a massive 200+ demos ready to take your business to the next level. Bridge comes with 40 awesome demos for portfolio website. The clean and minimal design of each demo is ready to cater your creative works as a freelancer, agency, designer, photographer, studio or any expertise you need to exhibit. The unlimited header and menu layouts will give you ultimate possibilities to craft a top notch design of your portfolio. The theme is SEO optimized so Search engines will easily index any page of your website because of the integrated search engine support. See the demo now! Salient is a responsive multipurpose theme developed with minimalism in mind, elegance, ultra-performance and innovation. It comes with 150+ templates that can be combined and rearranged to fulfill or meet your needs. The clean and minimal portfolio can help you display your artistic and creative works in a proficient way. You can choose from a full width layout of portfolio, bottom left metal material, meta zoom on hover, meta from bottom, 3D parallax masonry, mixed content masonry and parallax slider and many more or you can customize your own. The theme is fully responsive and retina ready so you can get more leads from diverse devices. Brooklyn is a responsive multipurpose WordPress theme that comes with 20+ ready to use demos. These demos can be easily installed with just one click so you can get your site ready in minutes. Brooklyn includes various portfolio websites for freelancers, agencies, studios and other creative who wants to show off their unrivaled works across the web. It comes with powerful admin panel to fully customize your website. 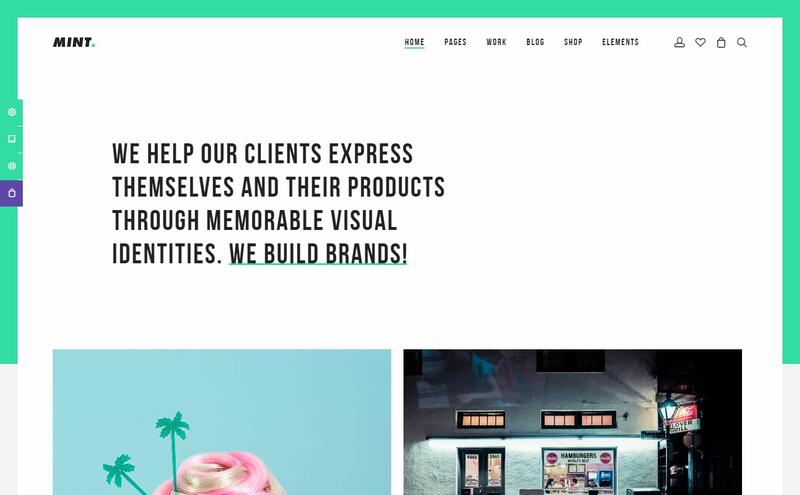 Mint is a Creative Multipurpose WordPress theme that offers freelancers, agencies, studios, companies, and other creatives to create their brands and improve online presence. 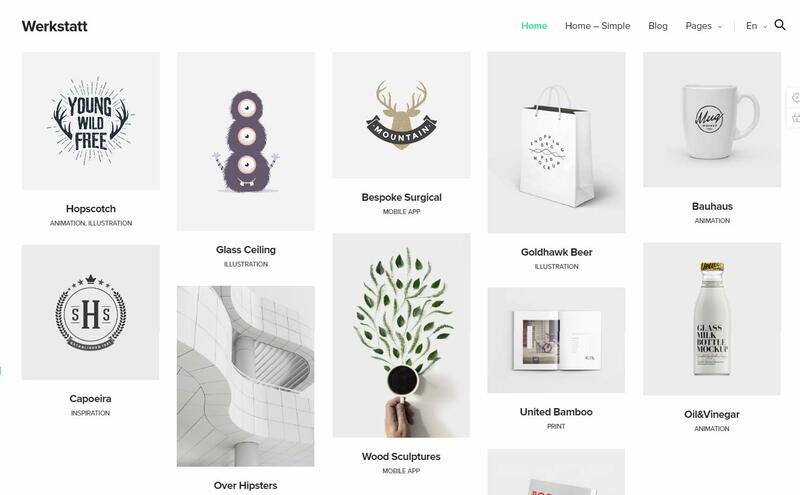 This WordPress portfolio theme is fully compatible with WooCommerce for a fully functional and professional online store within your website. Premium plugins include Visual Composer for drag and drop page builder, Ultimate Addons and Slider Revolution. Get to see Mint now! Impreza is a Responsive WordPress theme crafted with awesome portfolio. It’s a multipurpose theme that is useful for any business type you use it with. Impreza is compatible with WooCommerce, Contact Form 7, bbPress, tablePress and other necessary plugins. The theme is crafted with SEO in mind, fully responsive and retina ready. With the professional design, awesome CSS3 animations, stunning portfolio style layout, wonderful typography and seamless UI/UX Impreza will make your first amusing impressions last! 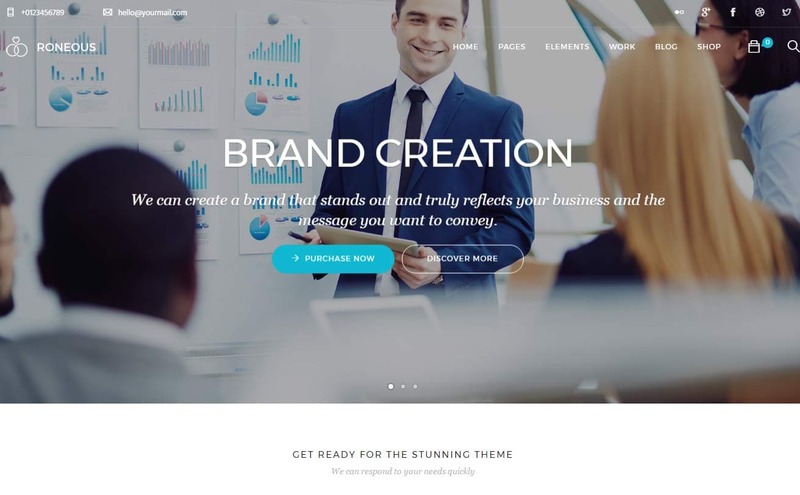 UnCode is a Creative MultiUse WordPress theme ideal for agency, freelance, blog, magazine, portfolio, photography, corporate and ecommerce shop. Uncode has various striking demos including WordPress portfolio. You can pick from classic portfolio, minimal, carousel gallery, metro or whichever you think suits your personal and products or services. 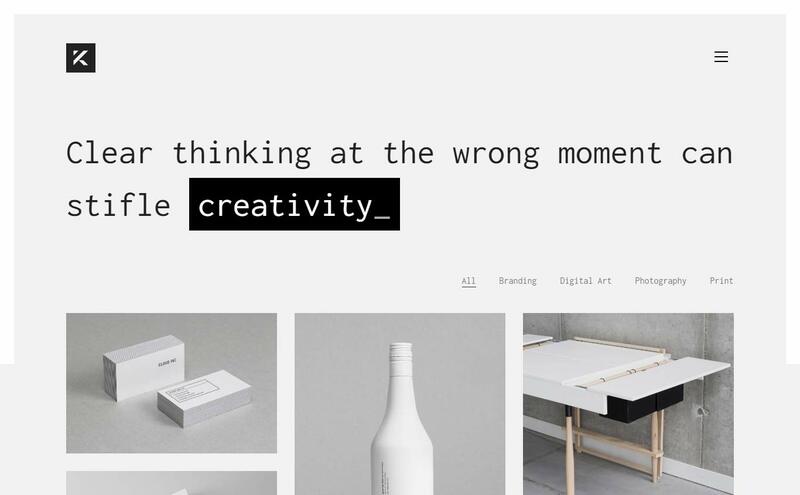 Stockholm is a multiconcept WordPress theme developed with clean and minimal design. 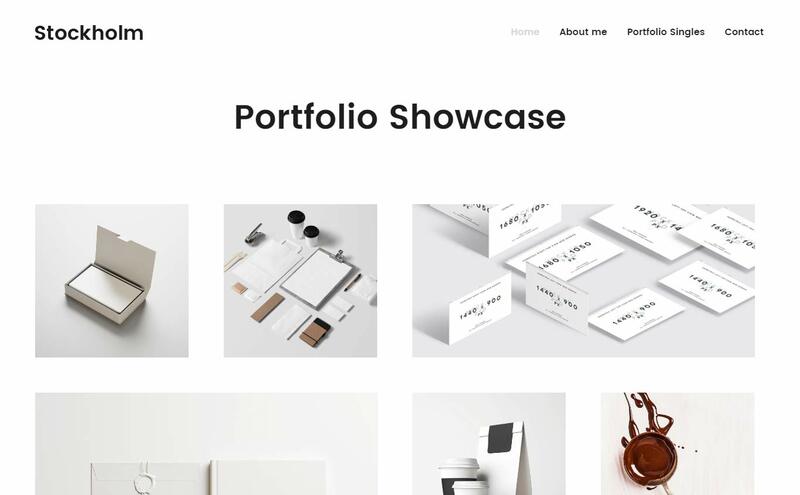 It features a clean, minimal, elegant and innovative design for portfolio. If you need a clean portfolio for your exquisite works, you can pick from the 12 fresh design of portfolio of Stockholm. Native is a WordPress theme that is said to be an ultimate tool for website building. It comes with 7 demos for portfolio website that can be installed in just one click. 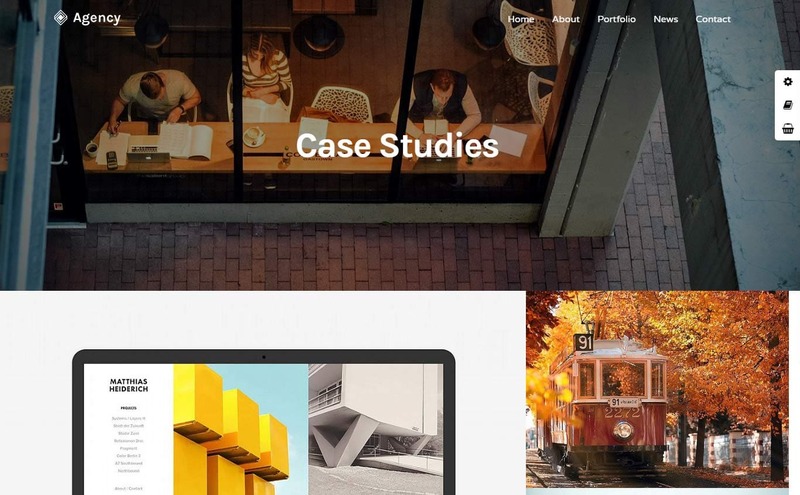 These innovative portfolio designs will cater your work with sophistication and style whether you are a photographer, designer, freelancer or creative of any type. 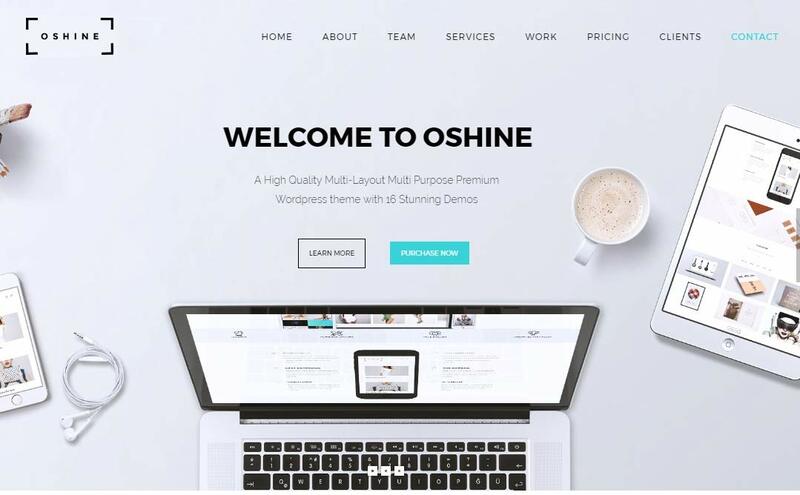 Oshine is a creative multipurpose WordPress theme with elegant, creative portfolios. Oshine is packed with various portfolio demos that can be installed with just one click. The theme is a revolutionary fully visual page builder to make your website building experience easy and enjoyable. 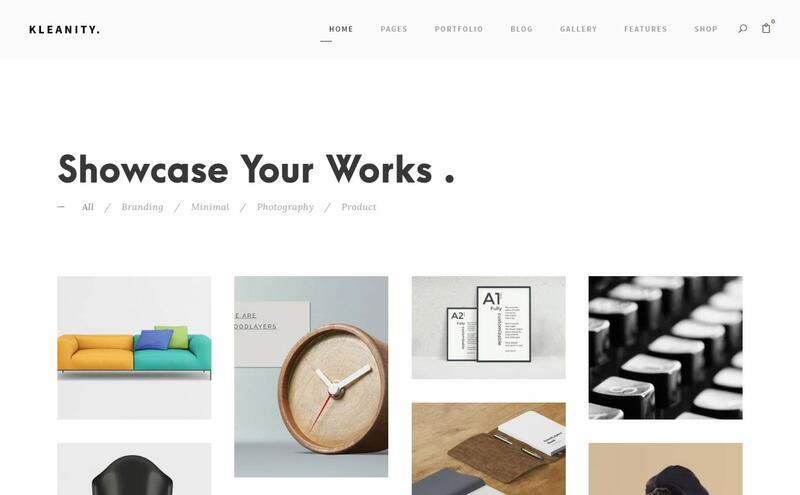 Werkstatt is a creative WordPress portfolio theme crafted with a lot of key features needed to manage your online portfolio in a smart and easy way. You can pick from a full screen split, grid style, full screen parallax, masonry, carousel style or you can opt for a designer, freelancer, agency, developer and other creative. 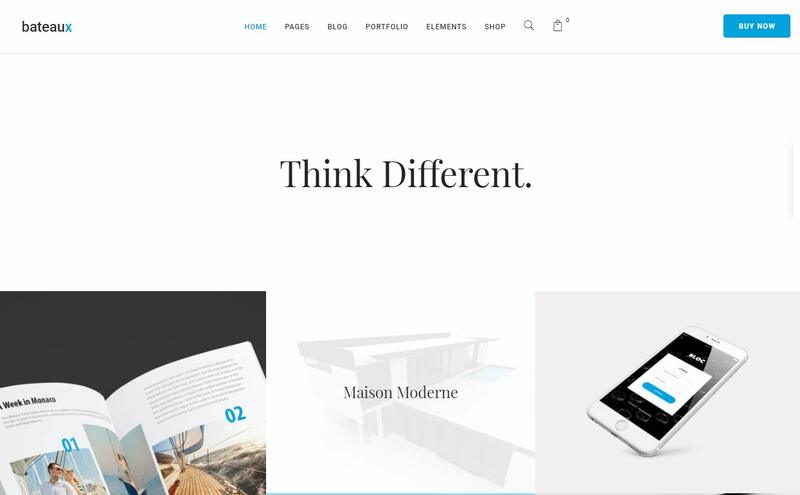 You can just drag and drop elements of your pages making it easier for you to build your portfolio website with ease. 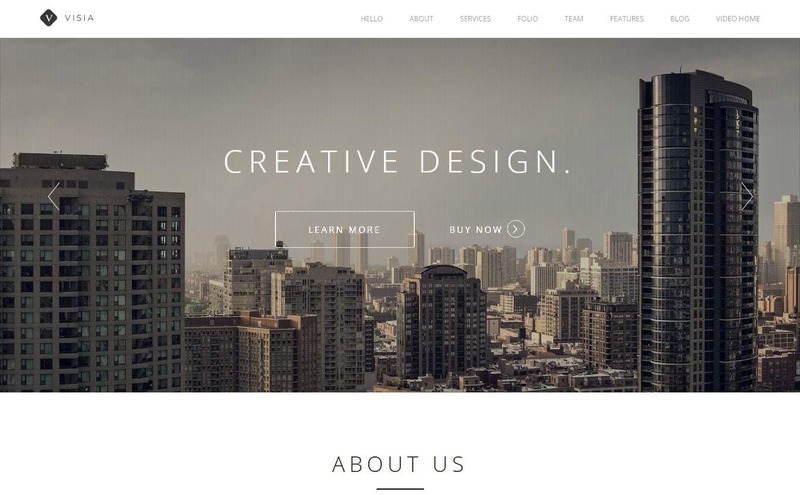 Kalium is a creative WordPress theme for professionals. 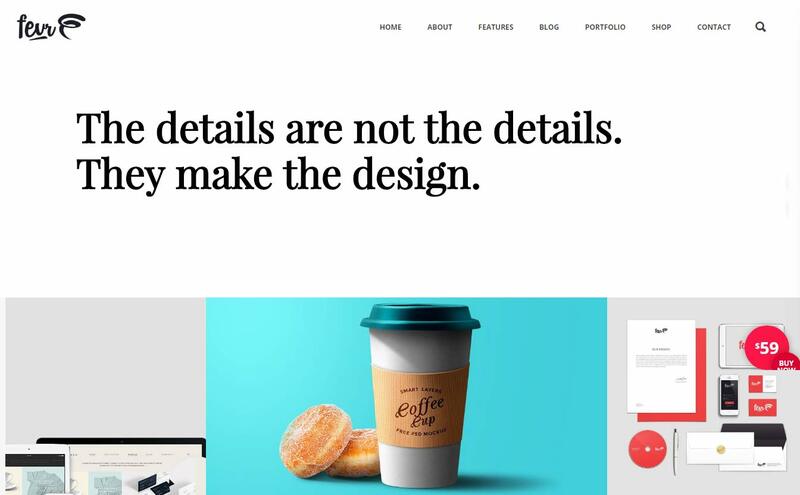 This WordPress portfolio theme is developed with beautiful typography, stunning hover effects, high speed performance, SEO optimized, and a lot more key features to manage your online portfolio. 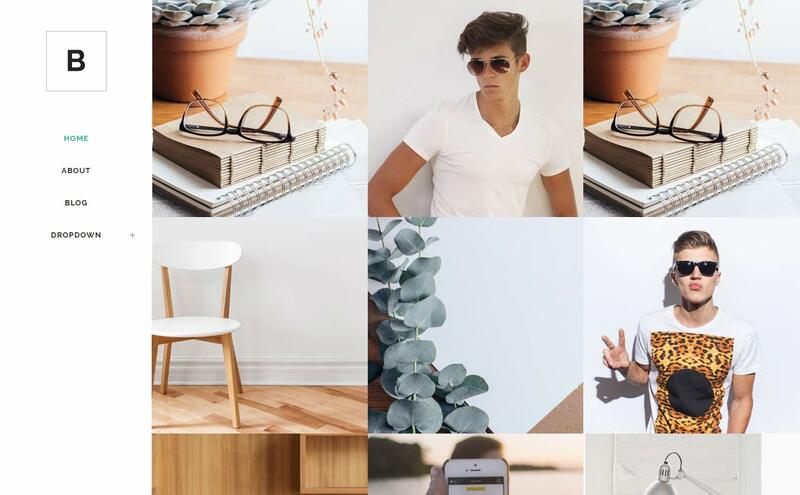 Kalium is for Designer, Architect, Photographer, Freelancer, Blogger person who sell goods online or just feeling creative. Notio is a deluxe WordPress portfolio theme with clean and minimal design plus ultra-performance. Notio is lightweight so it loads fast and gets higher ranks. The smooth animations give a better user experience to your audience. This theme will help your online portfolio be accessible to your possible clients with elegance and modernization. 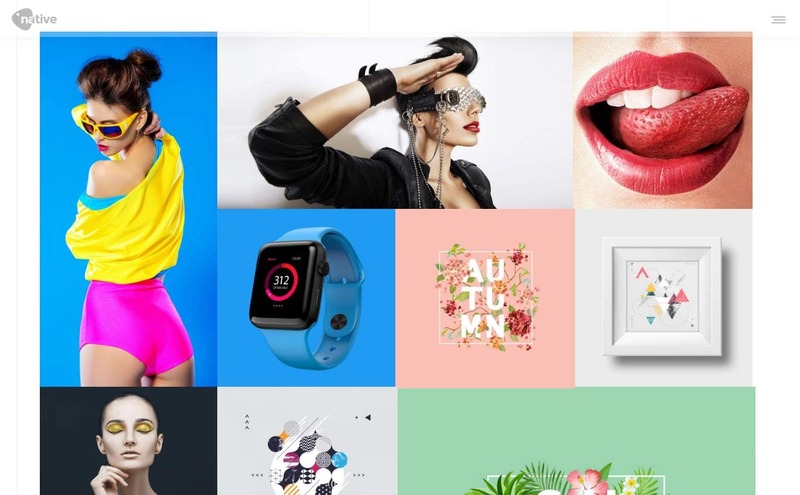 Grand Portfolio is a WordPress Portfolio theme designed to focus on gallery and portfolio for creative agency, photographer, musician, fashion design, architect and other creatives. It features infinite scroll, full screen gallery, fully responsive, retina ready, parallax background and a lot features to explore. See it now! 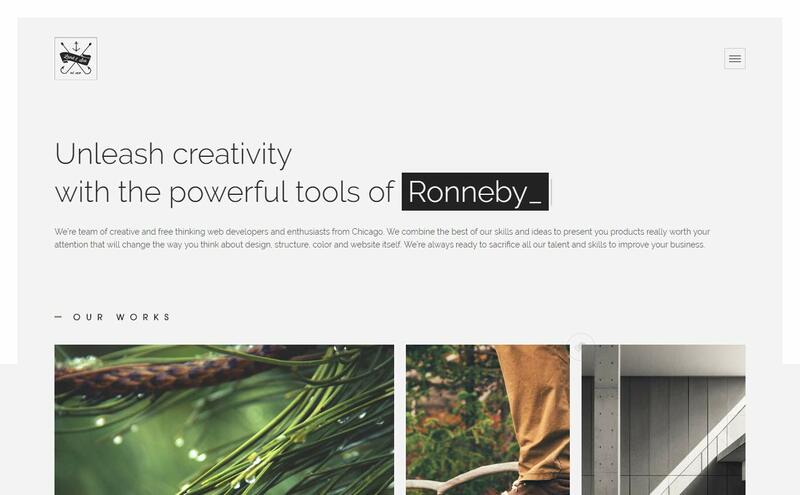 Ronneby is a WordPress theme that comes with 40+ ready demos for your business. 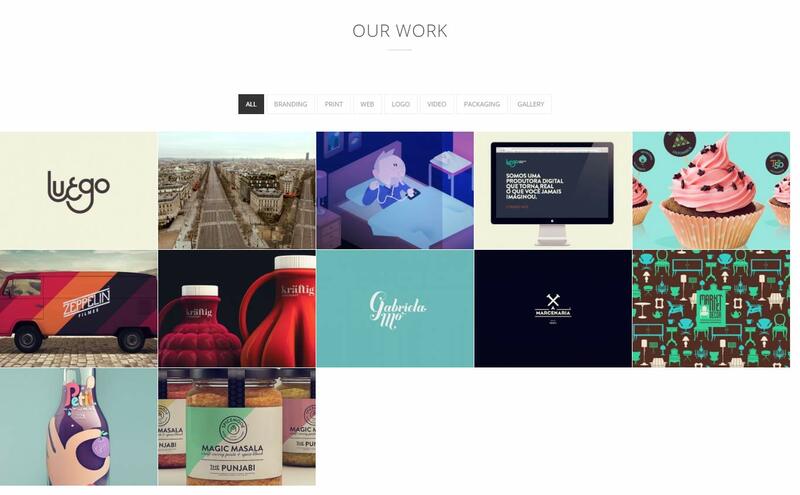 Ronneby comes with awesome designs for online portfolio. 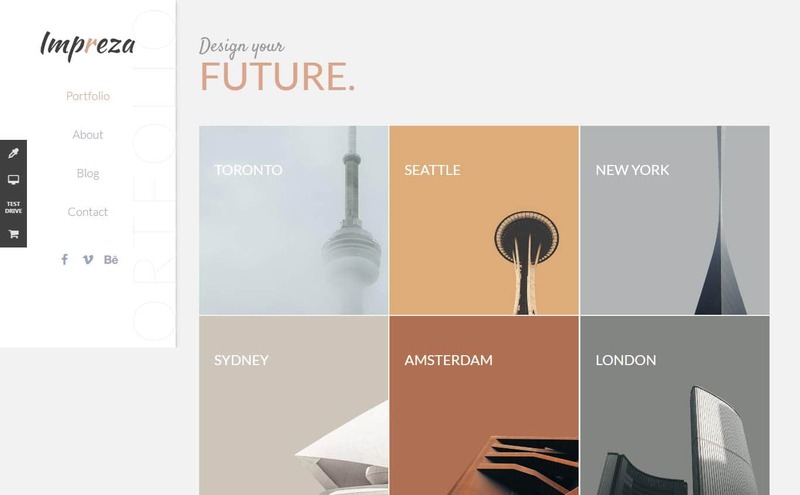 Whether you’re looking for a parallax style, full screen, slider or side menu Ronneby has anticipated these layout styles that can make your portfolio more attractive. Story is a creative multipurpose WordPress theme with advanced design for your online portfolio. If you need to showcase your excellent works, projects or arts then you can count on Story theme for your portfolio website. 907 is a responsive WordPress theme suitable for any business type. 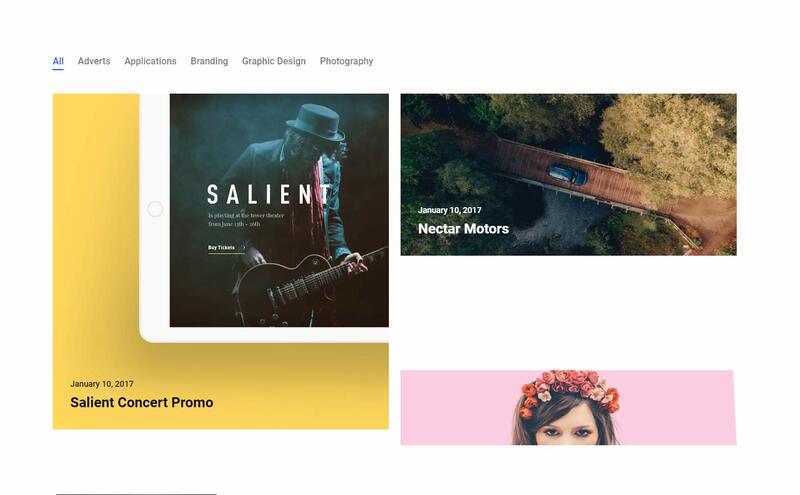 Whether you would like to create an online portfolio, resume, photography, architecture, creative agency, freelancer, artists and other creative 907 has got you covered. 907 WordPress theme has portfolio features like mouseOver video, filterable, optional ajax pagination, awesome layout controls and options. Patti is a modern and elegant One Page Parallax WordPress theme for creative people and other type of business. Patti is very easy to set up and customize, being powered by the amazing Visual Composer backend-frontend page builder. As an addition, the composer comes with Templatera, a premium addon for easy page builder template management and perfect to enfold content for later use. OneUp is a fully responsive One Page WordPress Theme suitable for any kind of creative website or business use. Built upon the responsive Twitter Bootstrap framework, the theme is highly optimized for both mobile and desktop platforms. OneuP uses lazy-loading of images and compression of all required scripts so your users will have a blazing and amazing experience browsing your online portfolio. Visia is a responsive One Page Retina WordPress theme crafted for creative and other business types. The theme is optimized for mobile and desktop platforms. With it’s out of the box portfolio design, you’ll get to exhibit your works in a professional and modern style. Check it now! If you want a super clean, minimal, modern and smart kind of online portfolio, you need to see Dazzle right away! 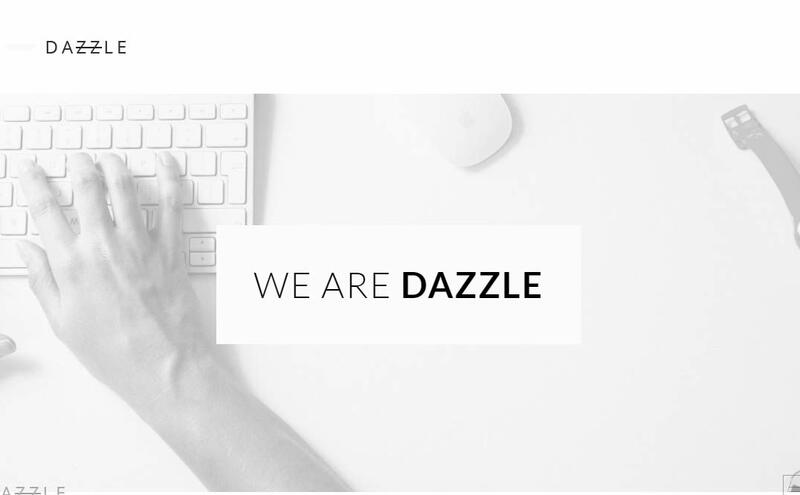 Dazzle is a Wordpress portfolio for creative professionals. Dazzle is socially enhanced to help you connect with your social audience through social sharing widgets included in the theme. 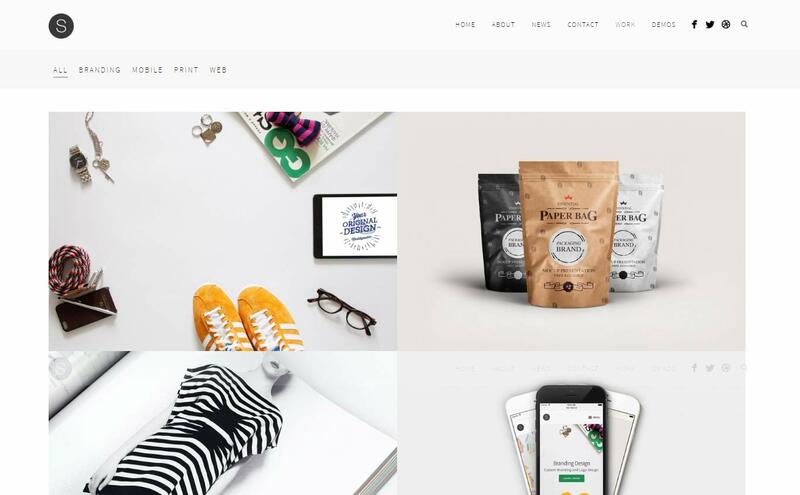 Bateaux is a creative multipurpose WordPress theme that can provide you a smooth management of your online portfolio. 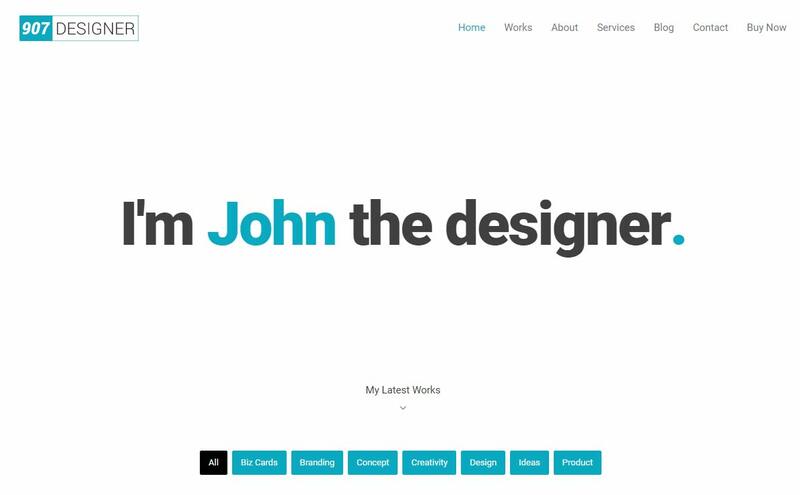 The theme comes with numerous prebuilt templates for your online portfolio. Bateaux is fully responsive, retina ready, has smooth animation, SEO optimized and fully customizable. 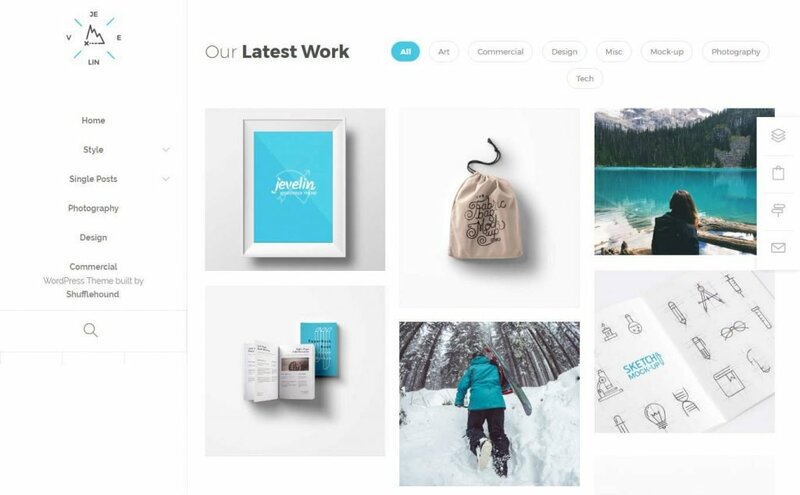 Jevelin is a multipurpose WordPress theme packed with beautiful and powerful, ready to use demos for business, freelance and personal websites. If you desire to build a clean and professional online portfolio you can always count on Jevelin. 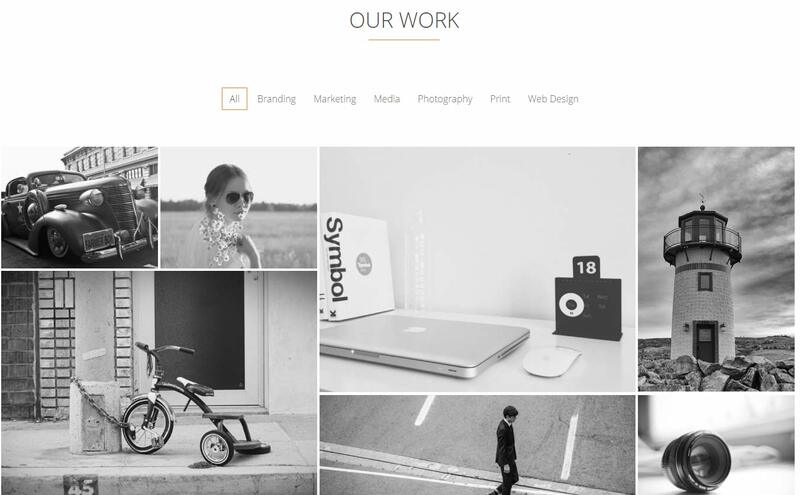 Roneous is a creative multipurpose WordPress theme with beautiful and classy design. It comes with a powerful customization, awesome and clean portfolio with smooth animation, social media sharing ready, SEO optimized and many key features needed to run your business. 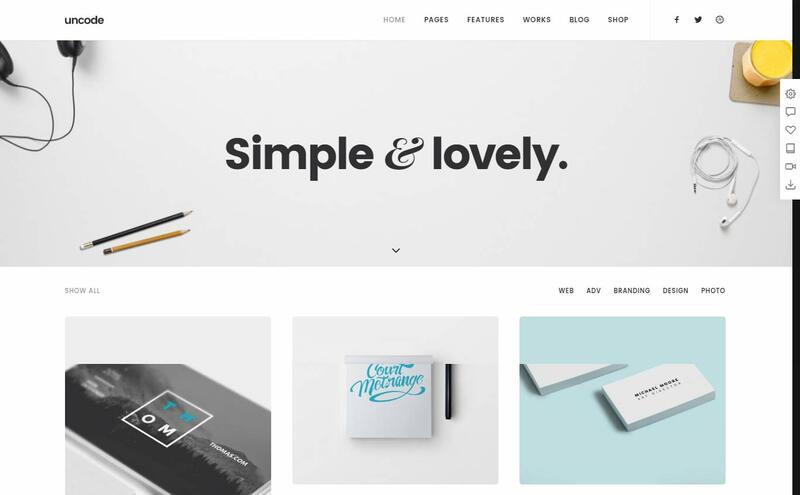 Kleanity is a minimalist creative WordPress portfolio theme for creatives. Make known your services and products in a way that your creative works be professionally exhibit worldwide with Kleanity.